Are you heading towards Sanderson Ford for a visit to Phoenix, Arizona? Don’t get caught in the tourist traps. Check out these Phoenix trips that are popular to locals. Be sure to travel in the area’s favorite truck, the Ford F-150, to blend in even better. A day in the Arts District is sure to get your creative blood flowing. Take your time walking down the street and through alleyways where you’ll find all sorts of colorful, photogenic murals. There are plenty of art galleries and boutiques where you can stop in and buy a piece of Phoenix art to take home with you, too. As one of the country’s largest municipal parks, South Mountain Park offers some gorgeous desert hiking. Bring plenty of snacks and water so that you can make it to the highest point, Dobbins Lookout, where you’ll see an unbelievable view of the city and beyond. 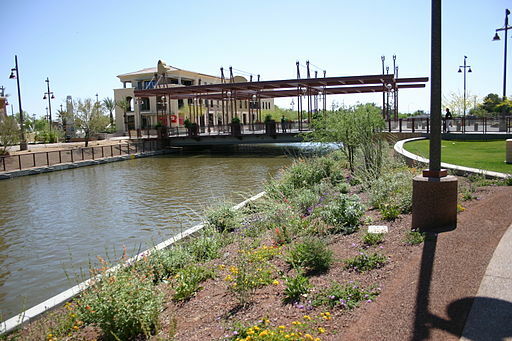 The Arizona Canal is located in the Arcadia neighborhood. It’s the perfect place for a walk and some people watching, but you’ll also find some natural wonders like a waterfall and a cave. The walk will surely work up an appetite, so end your evening with dinner at the O.H.S.O. Eatery & Nanobrewery. Just ask us at Sanderson Ford if you want to hear about more amazing local trips!